CAT is a living laboratory containing some of the most innovative and renowned environmentally conscious buildings in the country. We also have a diverse range of installed renewable technologies, on-site water and sewage treatment, sustainably managed woodland and acres of organic gardens. At CAT we try to live what we teach. For over 40 years, CAT’s activities have covered all aspects of green living, including environmental building, eco-sanitation, woodland management, renewable energy, energy efficiency and organic growing. So, if you choose to attend the residential study weeks, you’ll be studying in a unique learning environment. 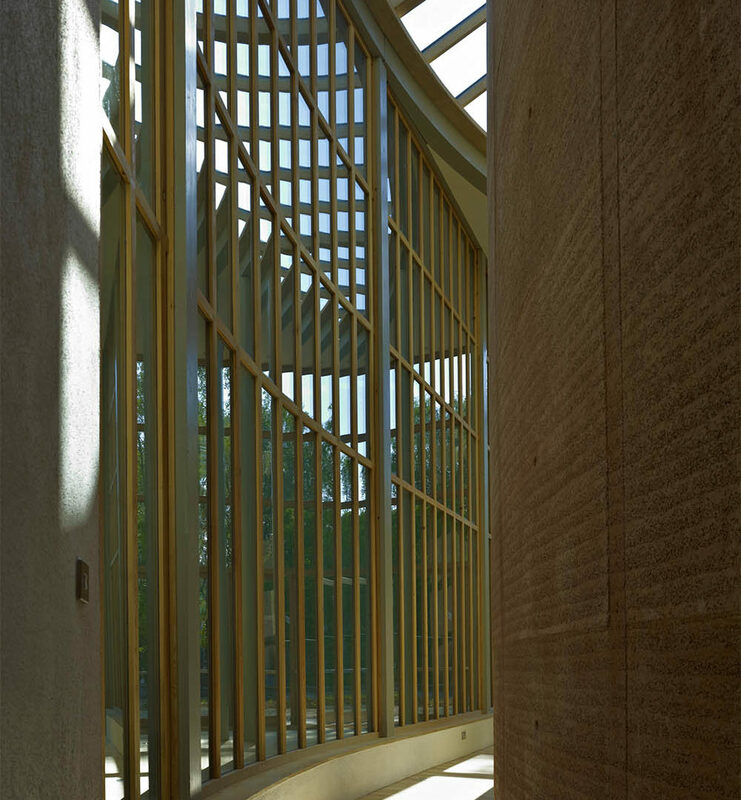 130-seat, rammed earth, circular lecture theatre. Large classrooms/workspaces and smaller seminar/private meeting rooms. WISE open spaces provide useful light and warm areas to meet. Access to CAT’s 24 acres of woodlands, organic gardens and interactive displays. Vegetarian café offering delicious vegetarian, vegan and gluten-free dishes and snacks. Donelly’s Bar stocks organic and consciously sourced drinks and snacks. The WISE building, designed by CAT architects Pat Borer and David Lea, is where most of your lectures and seminars will take place. This award-winning building incorporates a number of innovative materials and design techniques, and provides a comfortable, enjoyable and professional environment in which to study. You will also have the opportunity to attend lectures around the other of the buildings that are made with straw bales (Straw Bale Theatre), timber frame, rammed earth, hemp and lime – as well as some refurbished slate buildings from the site’s industrial past. 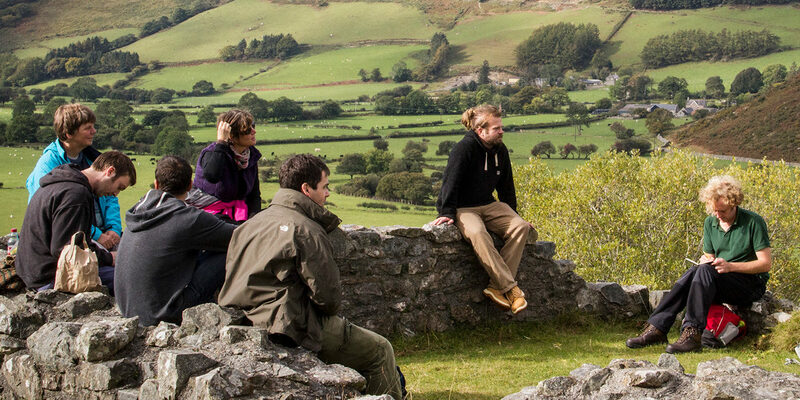 Perched on the edge of the Snowdonia National Park, and situated within a UNESCO Biosphere reserve, CAT provides a peaceful place for study, and a great base from which to enjoy the outdoors, with walking trails, cycle tracks, climbing routes and good surf all within easy reach. As well as providing a peaceful place for study, it is surrounded by woodlands, hills and wild spaces, with some of Britain’s most beautiful beaches just a train ride away. CAT is easily accessible by public transport or bicycle from the nearby town of Machynlleth, where there is a train station with direct links from Birmingham, Shrewsbury and Aberystwyth. A range of renewable energy systems help power the site. Several types of solar photovoltaics, a hydroelectric turbine and a series of small wind turbines provide electricity (topped up by a green electricity provider), whilst hot water comes from solar thermal panels and efficient biomass boilers. 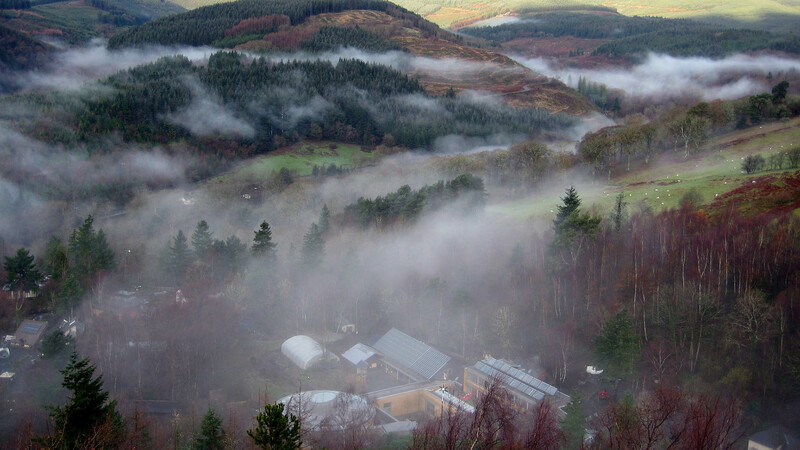 We also have both a water source and an air source heat pump, and a district heating system to warm our buildings. As well as these installed systems, we have a wide range of technologies available for practical work and experimentation, including a HETAS-certified biomass installer training facility with pellet and log batch boilers. CAT is completely off-grid for water and sewage. 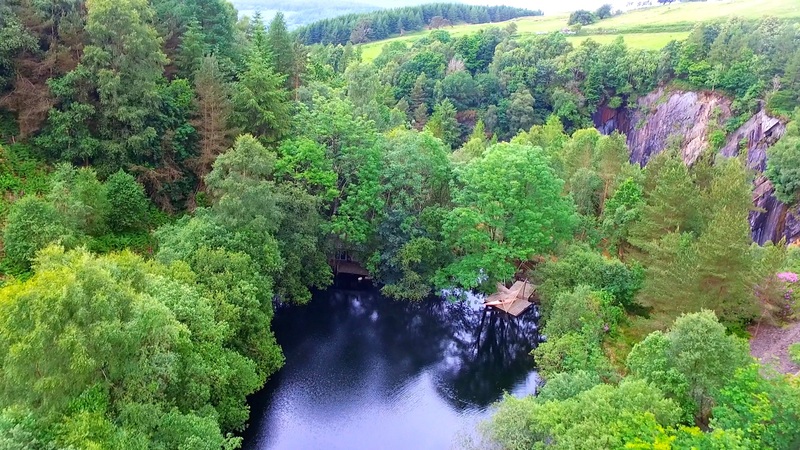 We have our own reservoir, which you can see from the quarry trail, which is cleaned using a slow sand filter and a UV filter, providing drinking water that hasn't been chemically treated. The water is also used to flush our water-saving toilets. Each flush takes the waste down to our reed bed sewage system. Here, the solid waste is removed and composted, while the liquid waste is cleaned. 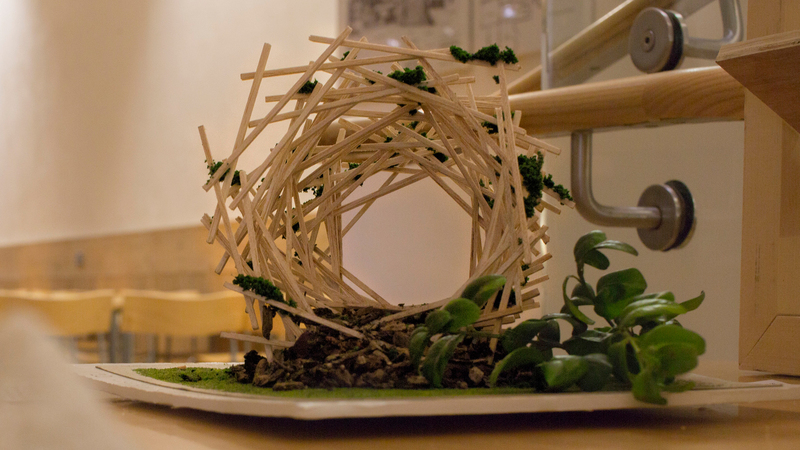 We try hard to reduce waste, and, where possible, operate closed loop systems, composting waste from the café for use in the gardens. 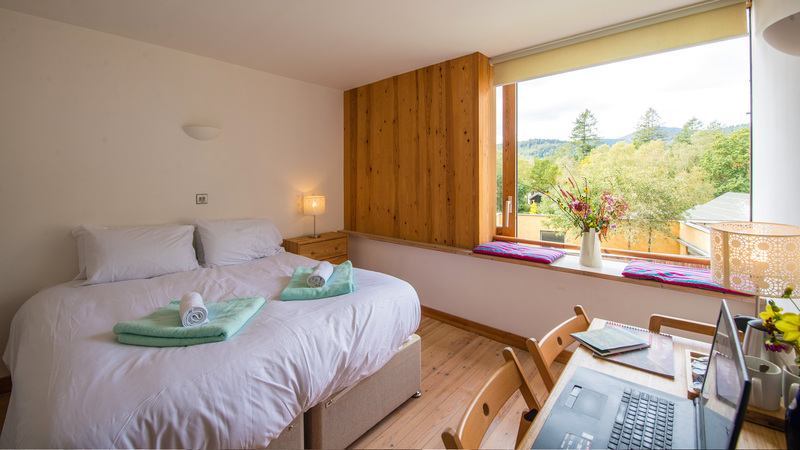 Both single and shared accommodation is available, with a choice between en-suite rooms in the WISE building or bunkhouse-style accommodation in our timber-frame Self Build House or in our much-loved Eco Cabins. You can see the costs for students in the fees and funding section. A diverse range of display and research items around the site are available for students’ research and dissertation work, and we can provide a wide range of monitoring equipment, including temperature data loggers, light metres, wind monitoring equipment and thermal imaging cameras. Other resources available online to all students include recordings of lectures, online discussions, and access to online journals via Athens and to online books via the awarding university library. Architecture students are reserved a shared studio space for their residential study week. 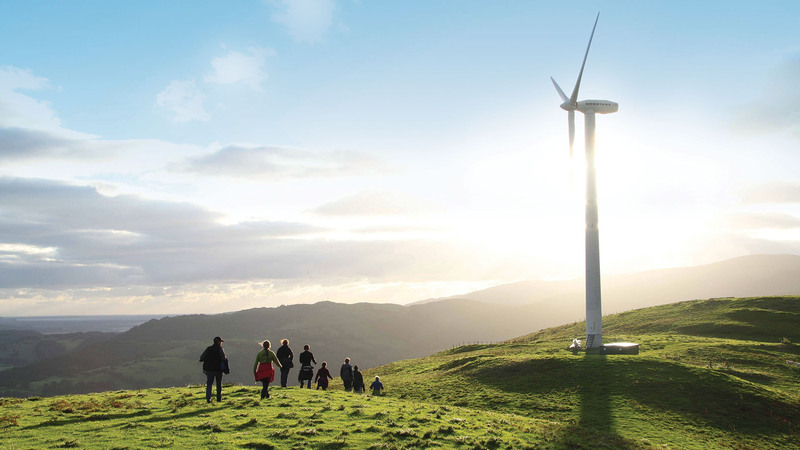 Find out what it’s like to study with us in our immersive learning environment, with lectures, seminars and practical workshops taught by some of the UK’s leading experts in sustainability. Provides a diverse range of delicious vegetarian food. Great range of books, snacks and stationary. Within cycling distance of Machynlleth.